I was reading the following devotional by Max Lucado from his book “Glory Days.” This really convicted me about how often I let other voices besides God’s influence how I act and what I say. I hope it blesses you today. Have a wonderful weekend! Remember where you are! As a child of God, you are in the Promised Land. Not geographically but spiritually. This is the land of grace and hope…freedom and truth…love and life! The devil has no jurisdiction over you. He acts as if he does. 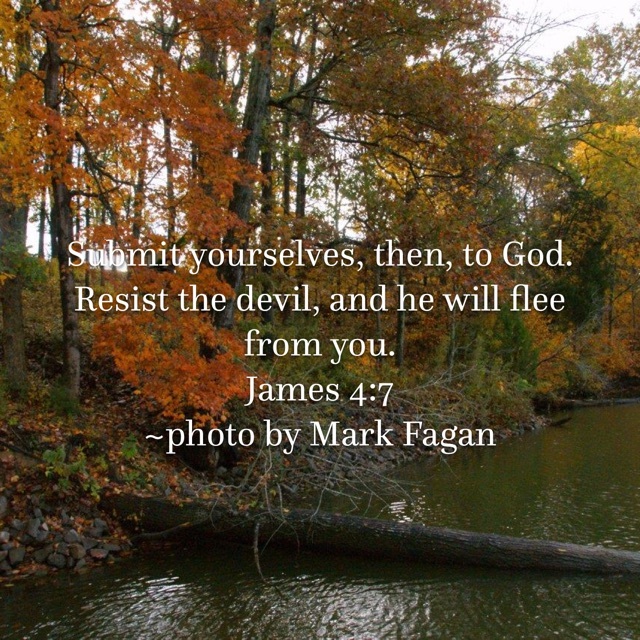 He walks with a swagger and brings temptation, but as you resist him and turn to God, James 4:7 tells us, he must flee. Voices await you today. In your cul-de-sac, at school, and on the Internet. They are waiting for you. You cannot eliminate their presence, but you can prepare for their invitation. You are indwelled by the Spirit of the living God. You are His! Decide now what you will say then. Choose obedience! And as you do you can expect blessings. The blessings of a clear conscience, a good night’s sleep, and the blessing of God’s favor.